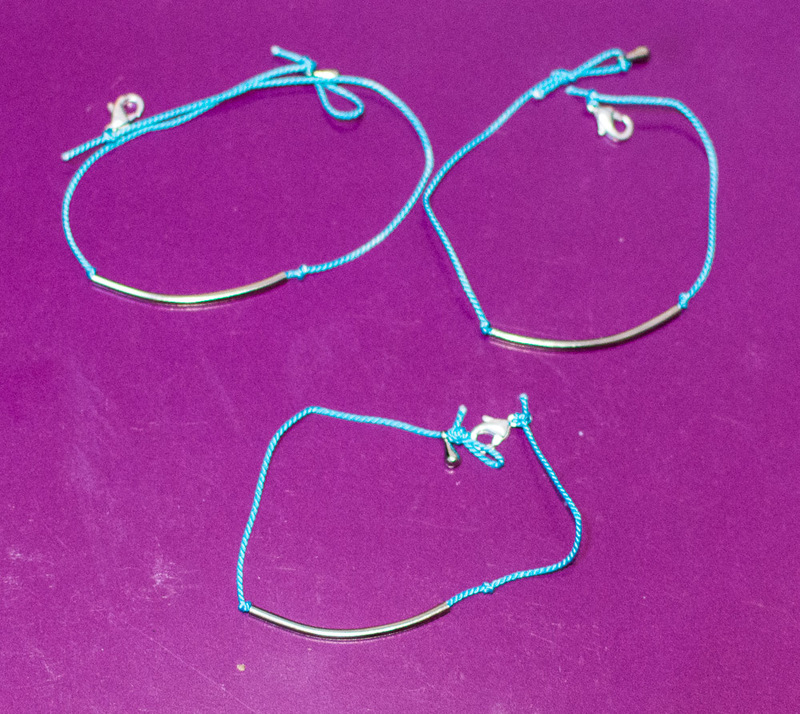 I made these little bracelets from a For The Makers box. I'm finally working through them. The silk string was dyed blue using Kool Aid. They came out pretty bright!